We have a fitting HUBER screen for any pumping station: our Coarse Screen TrashMax® even protects from biggest interfering substances and our robust Multi-Rake Bar Screen RakeMax® is the best option for deep channels and high solid loads. For small pump stations and manholes we have developed our vertical HUBER Pumping Stations Screen ROTAMAT® RoK4 that simultaneously lifts, dewaters and compresses the removed screenings. 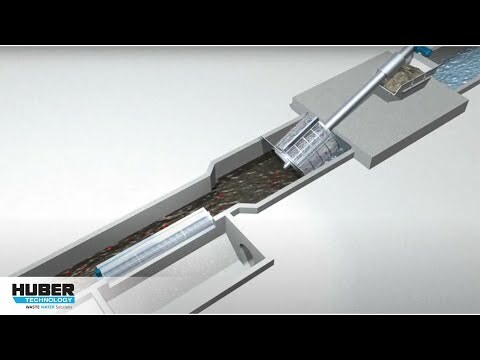 We offer several HUBER screens for combined sewer overflows (CSO): Our HUBER Storm Screen ROTAMAT® RoK1 is installed on the rear side of overflow weirs, while our HUBER Storm Screen ROTAMAT® RoK2 is installed on their front. Both screens are provided with semi-circular perforated plates that are cleaned with screws and brushes. 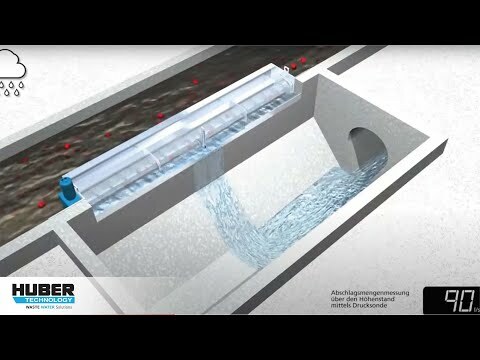 We also supply measuring weirs for Flow Monitoring and special flow restrictors and gates for Flow Control.